Michigan City, North Dakota (Pop: 285) is a tiny town along a rail line in central North Dakota. 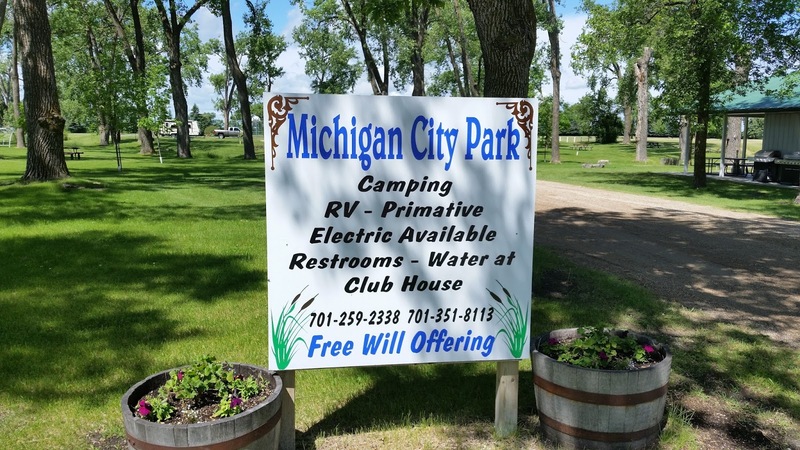 Research I did online revealed a small park that allowed RV camping and even provided free electrical hookups although a "free will" donation was requested. I pulled into the park and as is often the case when I "park camp" I had the place to myself. I put a $20 in the "Free Will Offering" box. 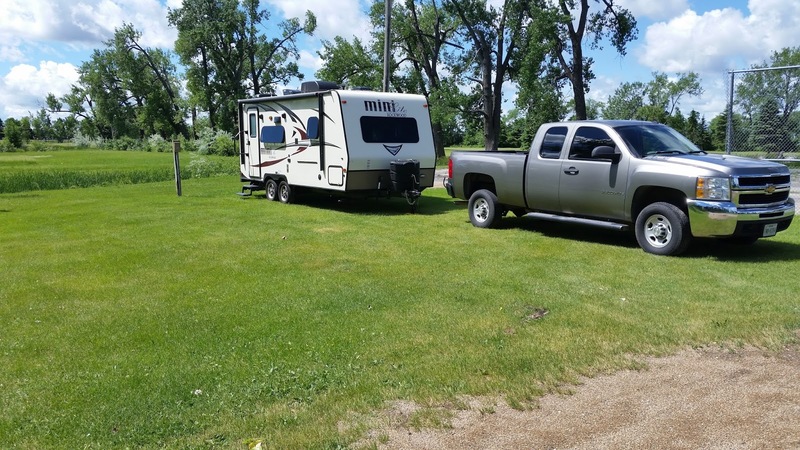 The park is relatively spacious and very well kept with a spotless bathroom that was regularly stocked and cleaned. There was a park employee working on the park every day I stayed. The Mini's site. You park on the grass near the hookup pole. 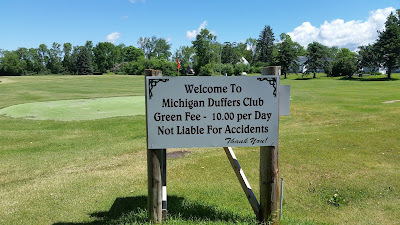 A fun bonus to Michigan City Park was a small 9 hole golf course that abutted the park's east and north side, For $10 a day you could play as many holes as you wanted, I finally got to use my golf clubs that I'd been lugging around in the back of the pickup for months! $10 for all you can play! 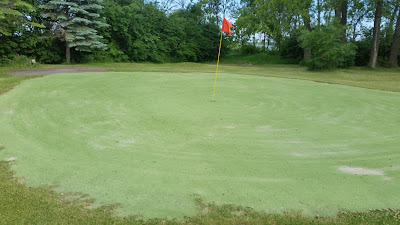 9th green in the background. The "greens" on the course were made of AstroTurf that had been "top dressed" with sand. While I'm sure they are very durable and low maintenance, they were so fast it was like putting in a pool table! 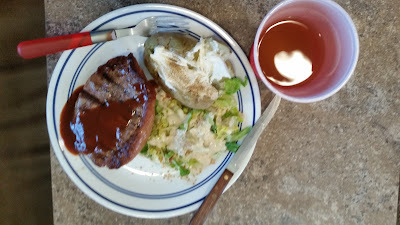 After my round I celebrated finally getting to use my clubs with a steak dinner cooked on the Mini's outdoor grill. The NY strip was reduced to sell at Michigan City's grocery. It was great! Keith Wood, the park's superintendent stopped by the Mini a couple times during my stay to make sure everything was going all right. Everyone I encountered in Michigan City was real friendly and you could tell they wanted you there. Staying at the park was a great experience and finally getting to play golf was a blast! While Michigan City may not be a "destination" city if you are passing through the area I recommend a stay at their park.